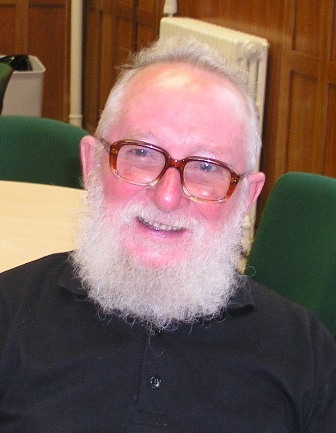 Fr Martin (Mattie) McNeely passed to his eternal reward on Wednesday, 22 September at his home in Mulranny, Co Mayo. He was 77 years of age. Ordained in 1956, Fr Mattie was appointed to minister in the diocese of Jos, Nigeria. Forced to return home to Ireland in 1959 due to ill health he was appointed to the teaching staff at the SMA Major seminary in Dromantine, Newry, Co Down. He returned to Jos two years later and from then until 1975 he ministered in different parishes throughout the sprawling diocese. During his years in Jos, Mattie founded the Minor seminary at Akwanga, which later moved to Barakan Ladi, Jos. Dozens of priests in the Archdiocese of Jos and in neigbouring dioceses owe part of their priestly preparation to this minor seminary. Since Mattie’s time in Nigeria, Jos has already given birth to four other dioceses: Kafanchan (1995), Bauchi (1996), Lafia (2000) and Shendam (2006). Thank you for the part you played in this growth Fr Mattie! In 1975 Mattie undertook studies in Communications in Lyons, France. Mattie then returned to the Archdiocese of Kaduna, Nigeria where, for six years, he was involved in the Mass Communications apostolate with the late Fr John O’Mahony. Together they founded and ran the Media Centre in Kaduna, producing cassettes and videos for the Catechetics ministry. They then moved into producing programmes for Radio and TV. Their greatest moment came during the visit of Pope John Paul II to Nigeria in 1982 when they were partly responsible for the transmission of the visit to the wider world. In 1982, Mattie was called to serve at the SMA Generalate, Rome where he endeared himself to countless SMA members, their families and friends as he gave them his ‘unique’ tours of the city of Rome and beyond! During his eight years in Rome, Mattie was, for a period, acting Anglophone Secretary though his principal work was as Guestmaster. From 1990 – 1991 Mattie did a Sabbatical programme in Marianella, Dublin. In 1991 he accepted the invitation of the Vicar Apostolic of Alexandria, Egypt to care for the English-speaking people and pilgims in Alexandria. He returned on holidays from Cairo earlier this year for medical checkups when he fell ill.
Fr Mattie’s remains reposed in the Church of the Immaculate Conception, Mulranny from 4pm – 10pm on Thursday, 23 September. After 11am Mass there on Friday his family, friends and SMA confreres accompanied his body to St Joseph’s SMA Parish, Wilton, Cork. His concelebrated Funeral Mass will be celebrated by Fr Fachtna O’Driscoll SMA, Provincial Leader at 12 noon, followed by burial in the adjoining SMA cemetery. Fr O’Driscoll’s homily will be available here after the Mass.